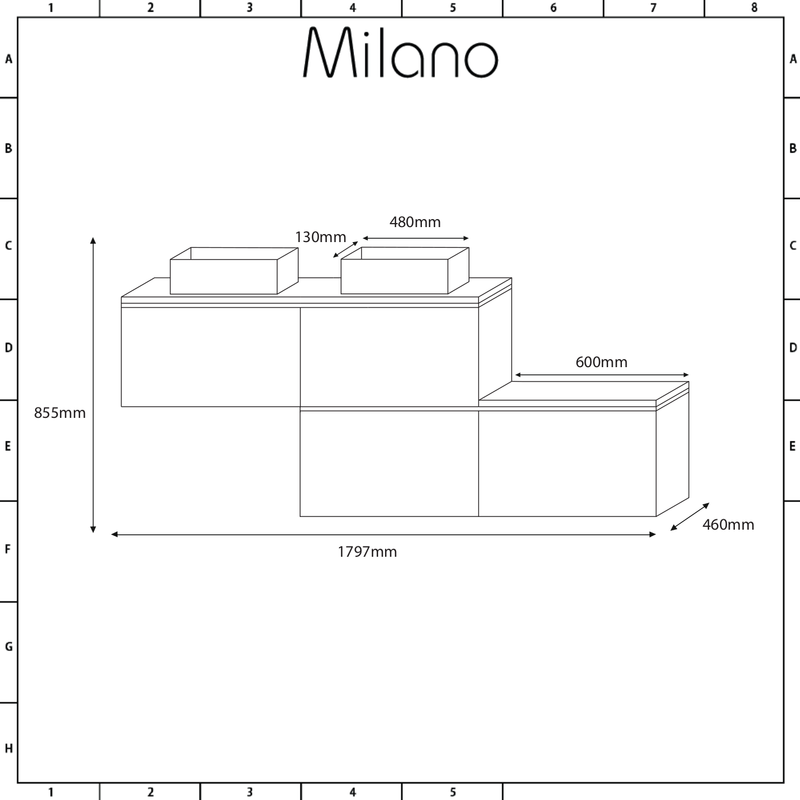 Introduce a stunning focal point to your bathroom with the wall-mounted Milano Oxley 1800mm stepped vanity unit and matching basins. 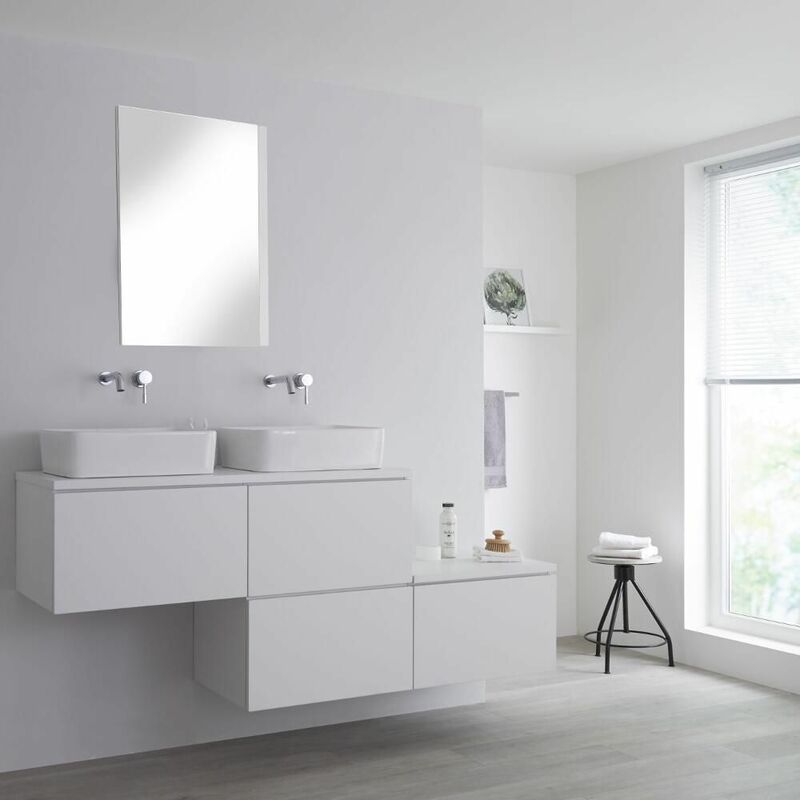 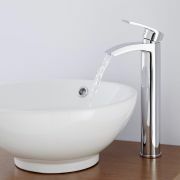 With a sleek matt white finish and streamlined look, the Oxley vanity unit is made from moisture resistant engineered wood to provide strength and long-lasting durability. 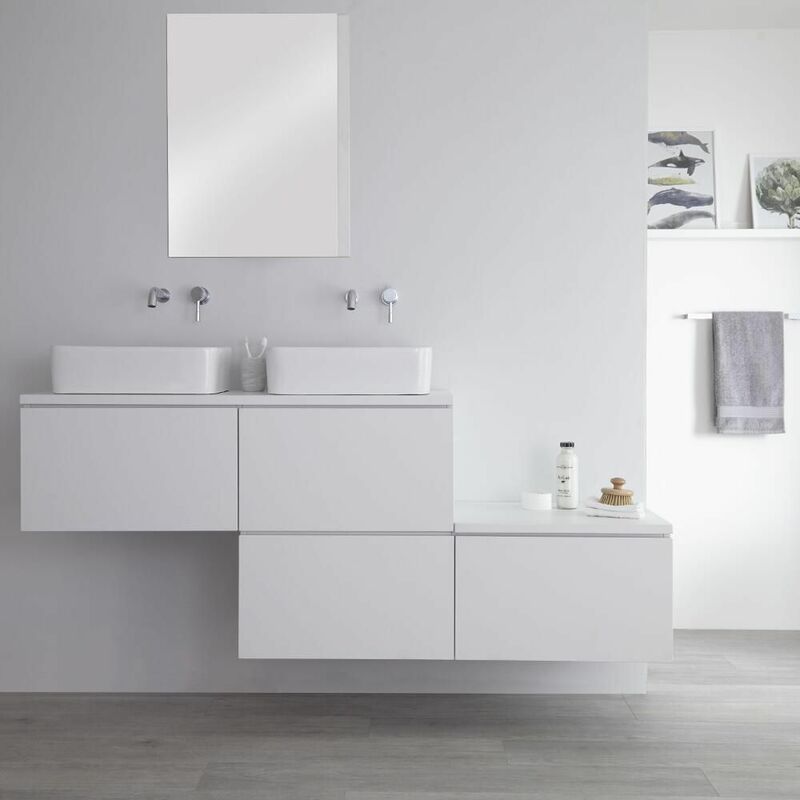 A minimalist look can be maintained thanks to four large push to open soft close drawers to enable your beauty products and toiletries to be kept out of sight. 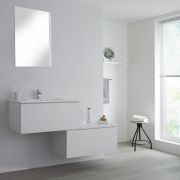 The vanity unit also includes a countertop area to keep your bathroom essentials close at hand. A ‘his-and-hers’ look is achieved with the matching rectangular countertop basins that are made from high quality ceramic with an easy to clean white glaze finish.